The wide open spaces of west Norfolk spread between principal villages, settlements larger than the others, large enough to support shops and a pub. I have no idea if Narborough is one of these, but it feels as if it is. This is because of the wide road that runs through it, the old A47 that took traffic from Norwich to Kings Lynn. Generations of lorry drivers on their way from the Midlands to the East Coast ports must have passed All Saints and known it as a landmark. 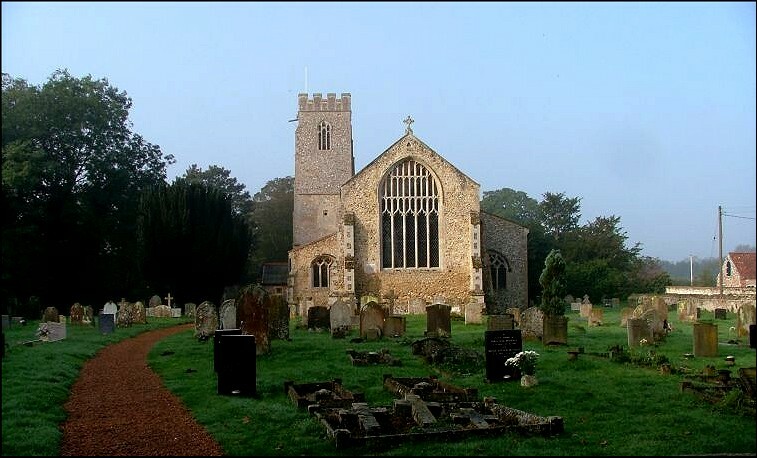 Today, they head mercilessly eastwards on the bypass, but there is still an air of a busy place, a sense of a well-used and well-loved church at the heart of it. 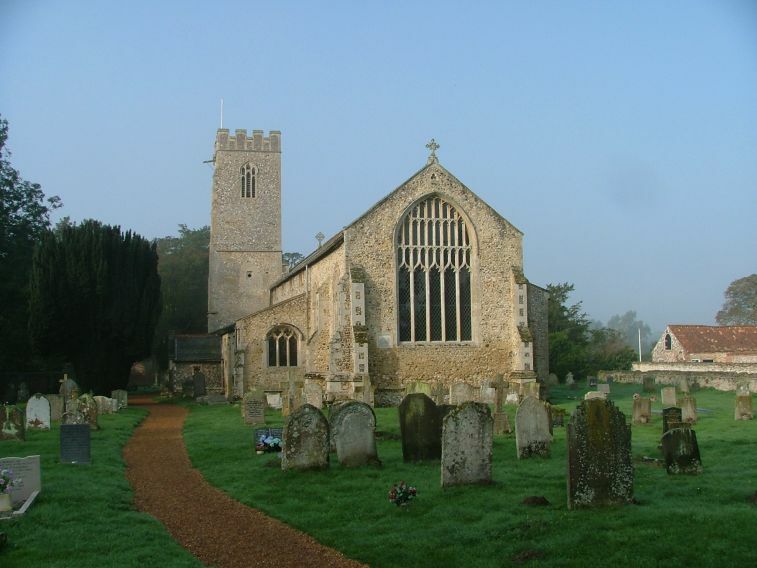 All Saints is largely a 15th century rebuilding of an earlier church, extensively restored in the 19th century. 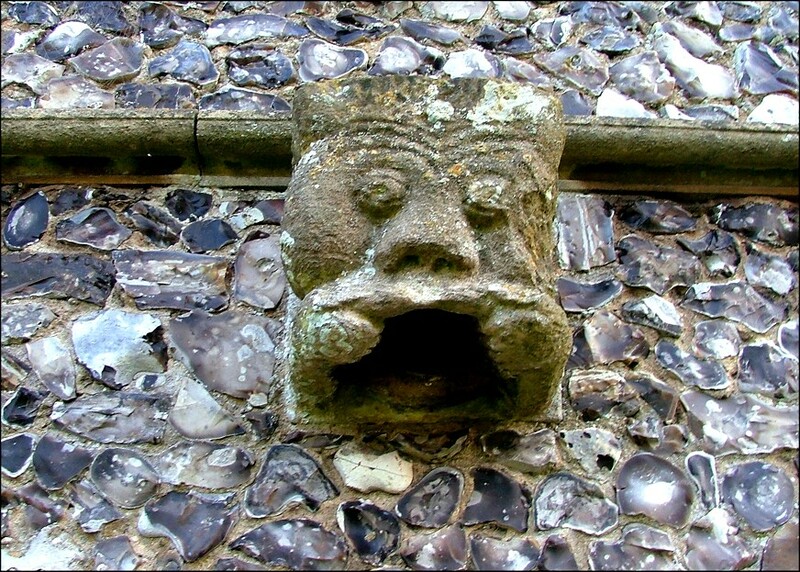 Thus far, then, a similar story to hundreds of other churches, and with such a history there is always the danger of an urban anonymity. 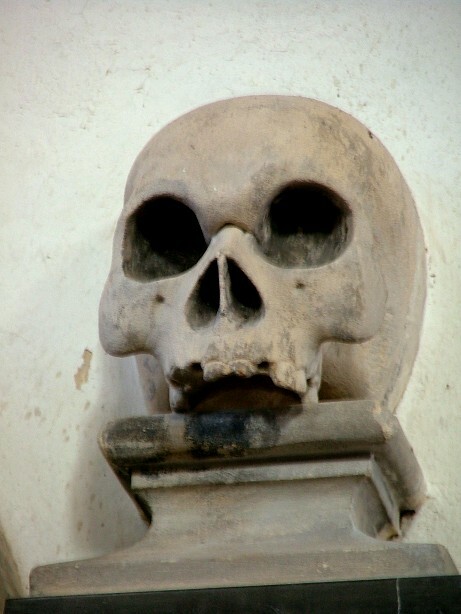 But I thought All Saints was more interesting, indeed quirky, than many of its contemporaries. For a start, there is that singular view from the east. Two aisles that are wilfully different; that on the north side is high, that on the south is low, running the full length of the building. 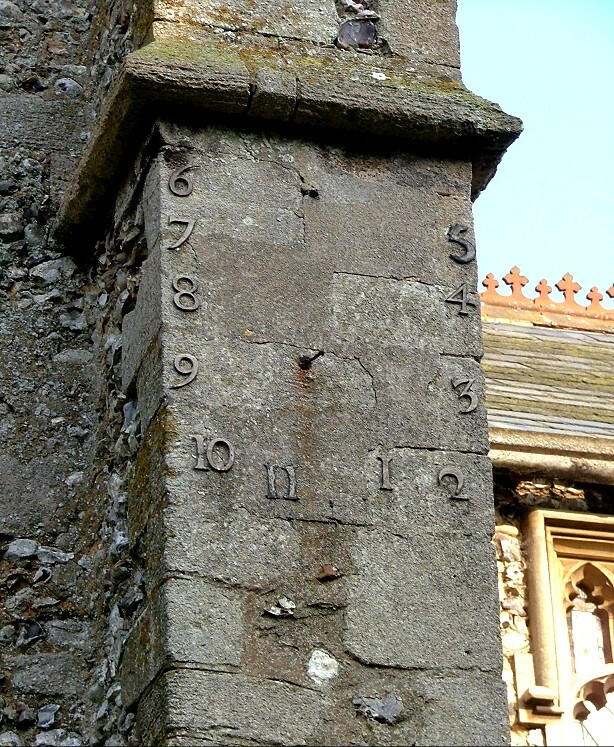 On a south facing buttress are the numbers of a sundial. 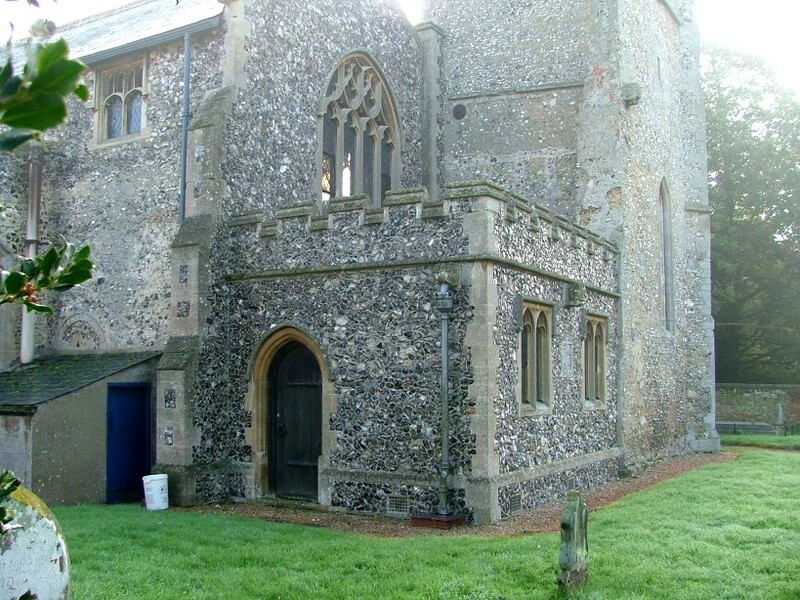 The elegant tower sits oddly at the west end of the south aisle, but has no connection with the nave, the west wall of which is level with the eastern face of the tower. 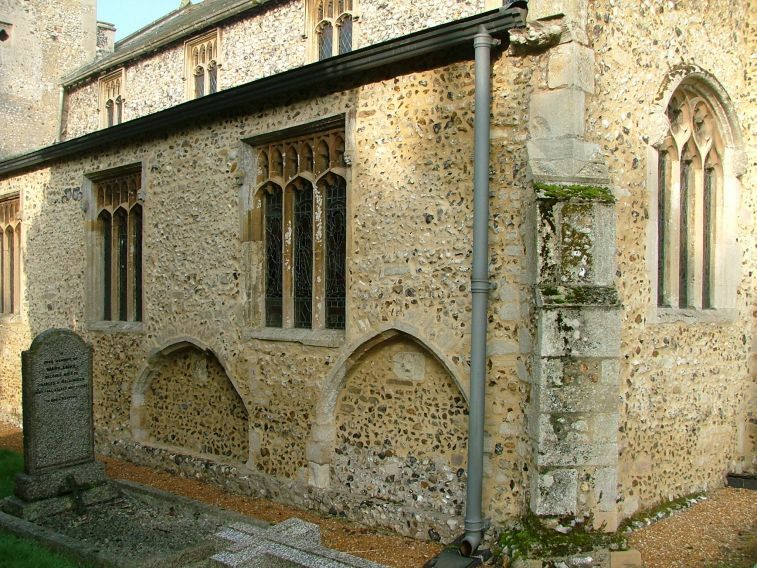 A dumpy vestry was fitted into the space here in the early part of the 20th century.This creates a curious effect as you enter the church by the south doorway, since you are coming in at a corner. Once past the font, the church opens up before you. 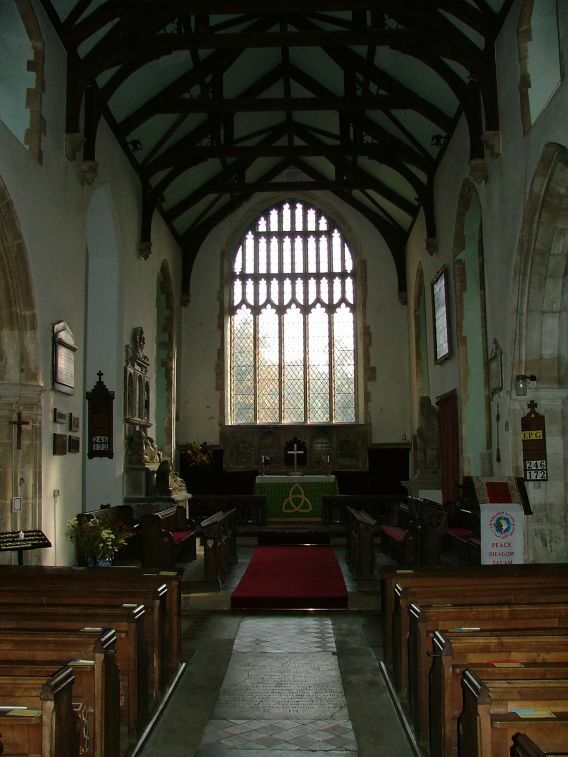 All Saints inside is clean, neat, obviously well cared for. At first, the ambience appears 19th century, perhaps early 20th. 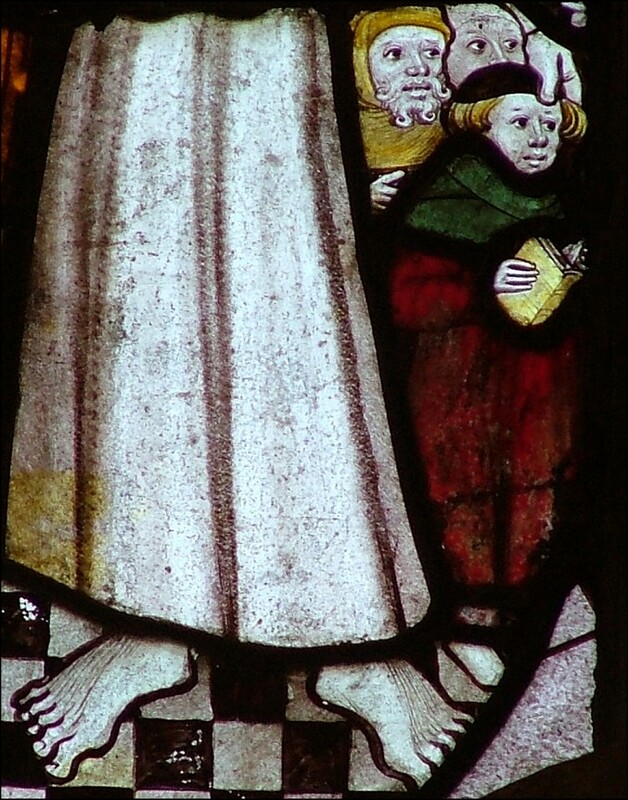 There is some good glass of this period in the nave; if it was less good, the church would appear even more crowded. There is a sense of stepping into light and space as you enter the chancel, which is perhaps surprising given what you will find there. 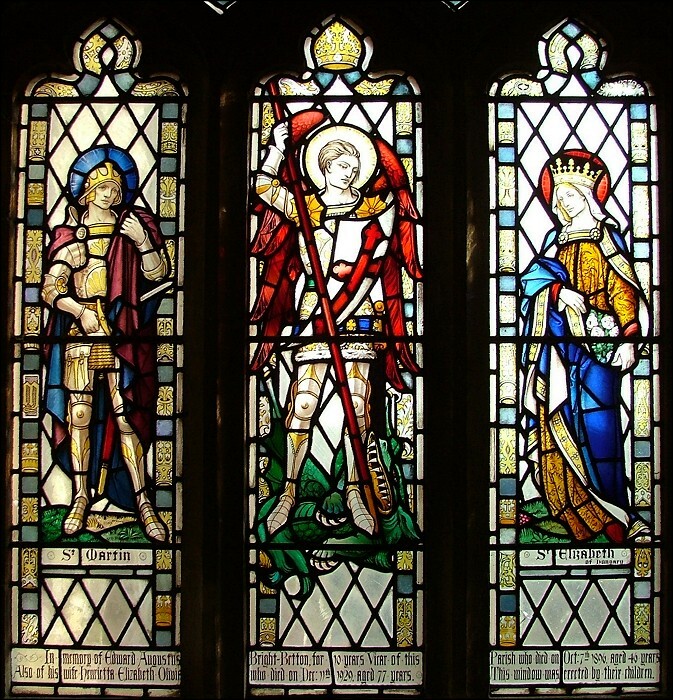 Before we come to that, though, the great medieval treasure of Narborough is to be found high in the lights of the north chancel window. 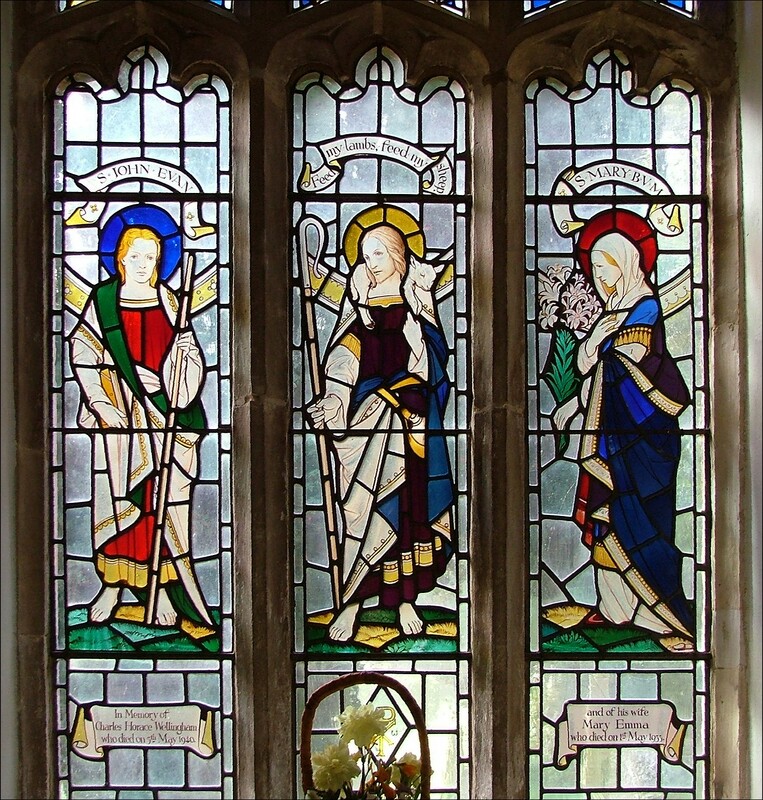 This is a sequence of five figures illustrating the Orders of Angels. 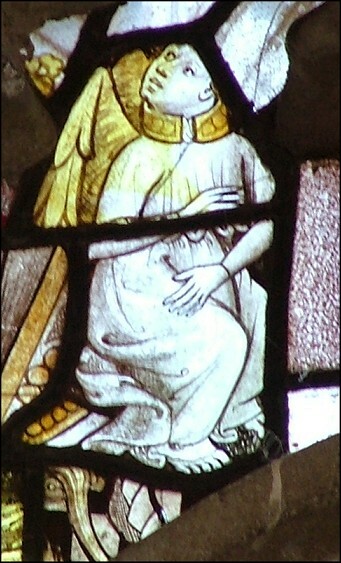 They depict Thrones, a small angel in white; Powers, a blond angel vigorously birching a devil, his scroll reading Potestates presut demones ('powers put down demons'); Virtues, an angel in purple; Angels, an angel in gold; and my favourite, Cherubim, an angel in white protecting eartly citizens. 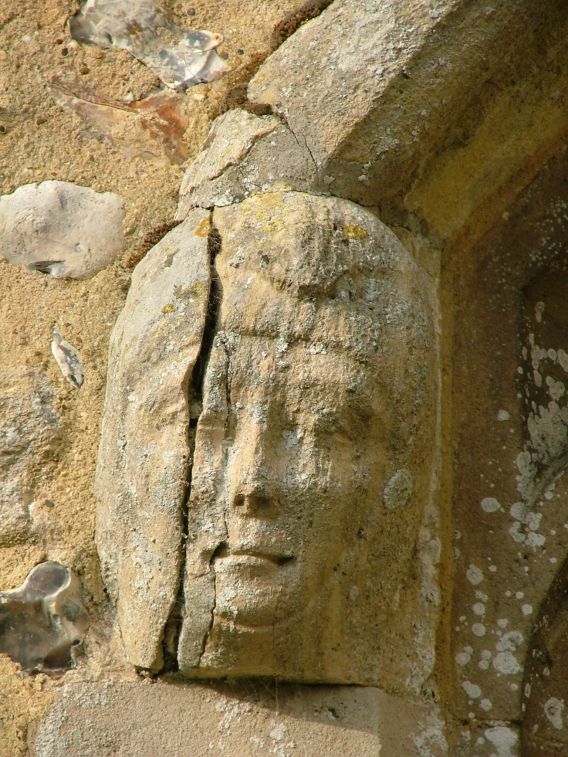 Below this window is a small niche with a demi-effigy of a woman wearing a wimple and holding a heart. 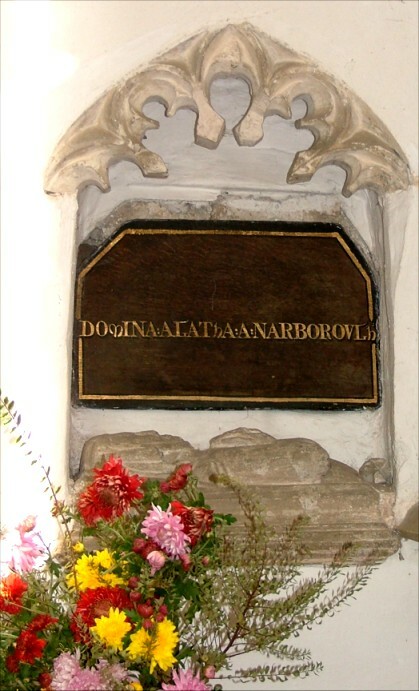 This is believed to be Dame Agatha of Narborough, as the faux-Latin inscription above suggests. 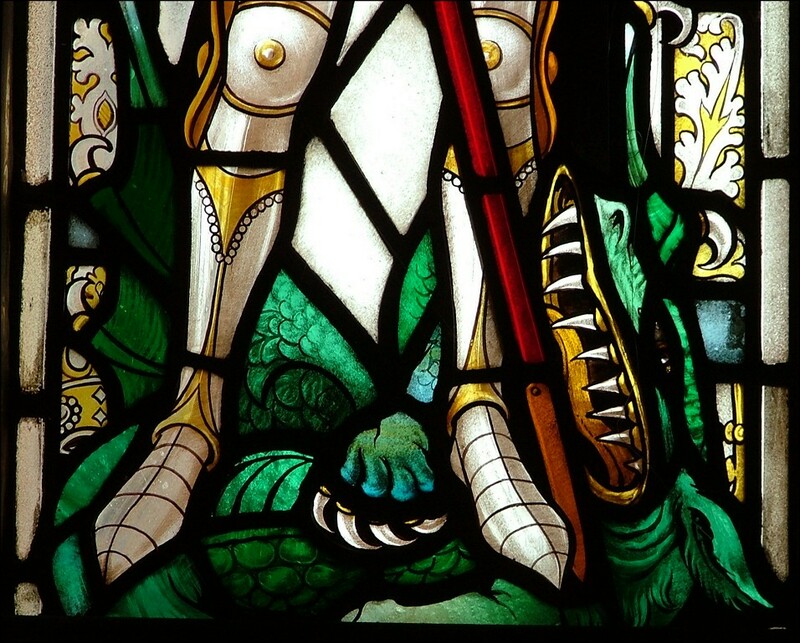 But apart from the glass, this church is dominated by the Spelman family. 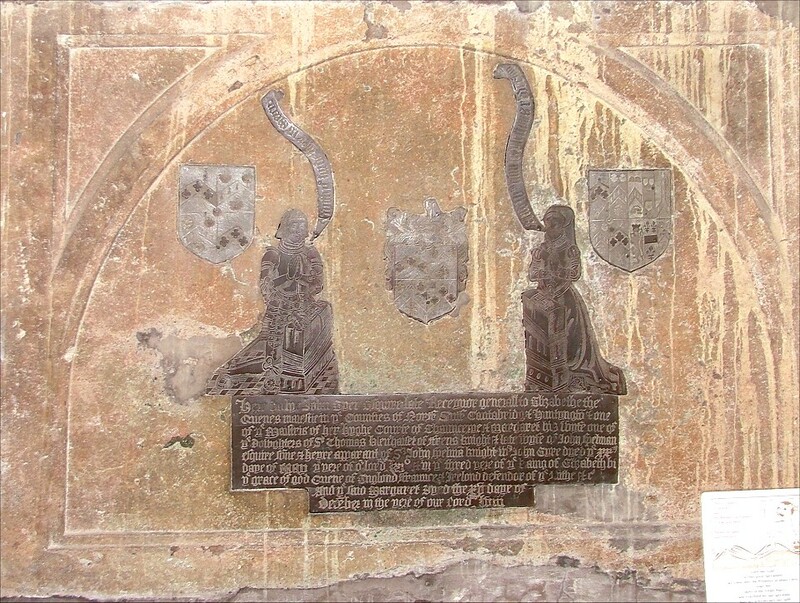 Several Norfolk landed familes seem to have made a good living from the law over the centuries, but perhaps none more than the Spelmans, who kept their hand in for at least four hundred years. 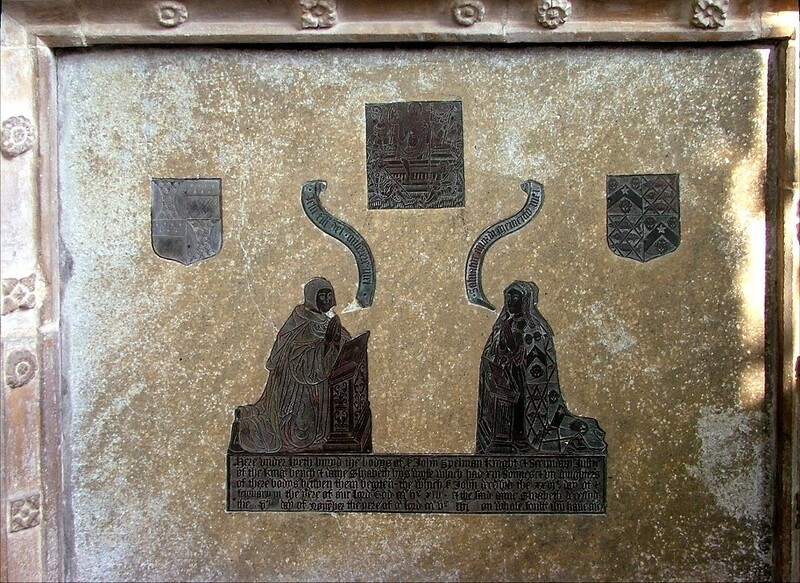 They are here in the form of their brasses, the pre-Reformation ones on the floor, the post-Reformation ones on the wall, including the only brasses in Norfolk that depict the figure in judge's robes. 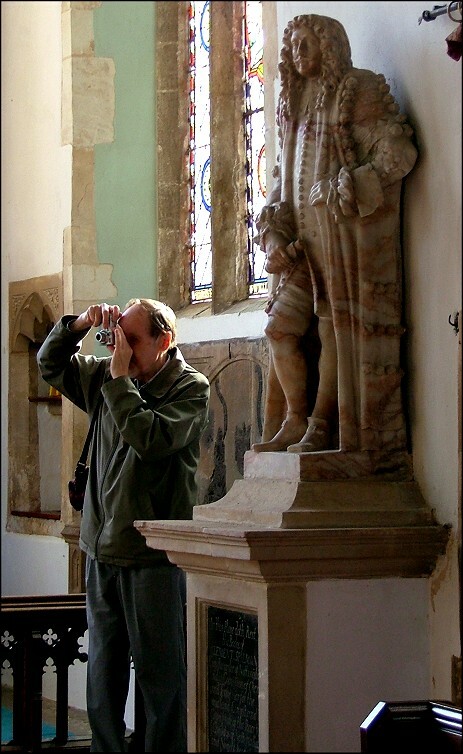 But most dramatic of all are the memorials in the chancel. 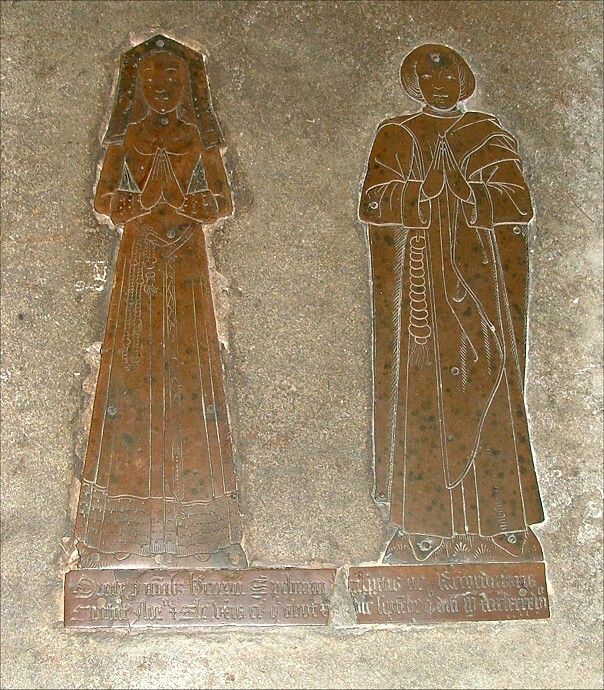 On the north side are Sir Clement Spelman and his wife, leaning awkwardly on their elbows like their contemporaries at Hethel. Above them kneels their daughter in a devoted attitude, but it is the figure on the other side, a baby in a cot, that catches the eye and the imagination. What happened to him when he grew up? 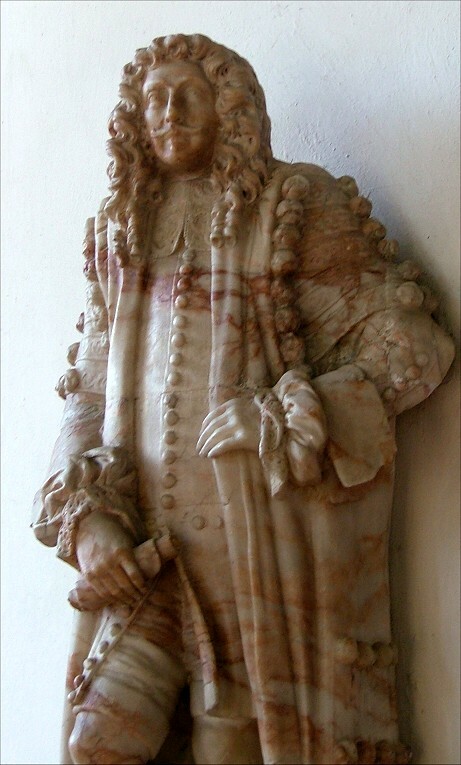 To answer that question, it is only necessary to turn around; for there, standing lifesize on a pedestal, is the grown-up Clement fils, a wholly secular effigy of him in his robes as Recorder of the City of Nottingham. 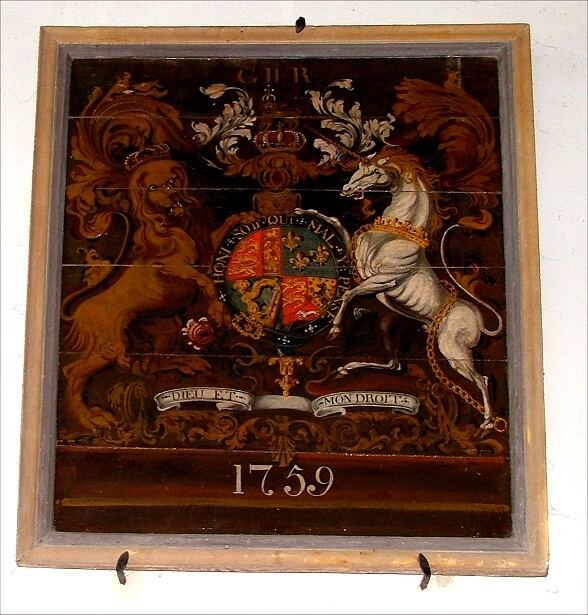 What on earth such a thing is doing in a church, you may well wonder, if you did not already know that such things are not uncommon in the early 18th century. 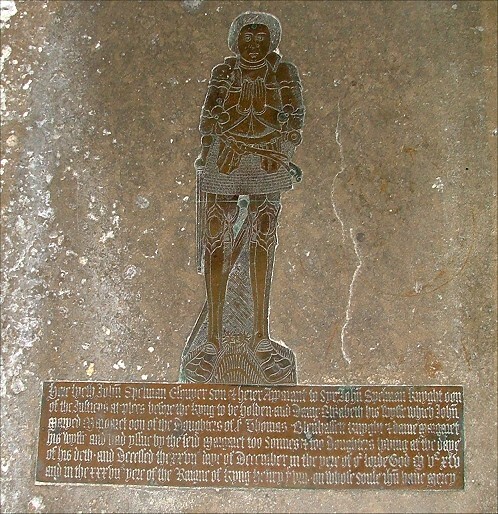 What makes this particular statue interesting is that the pedestal it stands on was reduced in the nineteenth century from on that was no less than eight feet high, which had stood exactly in the centre of the chancel. 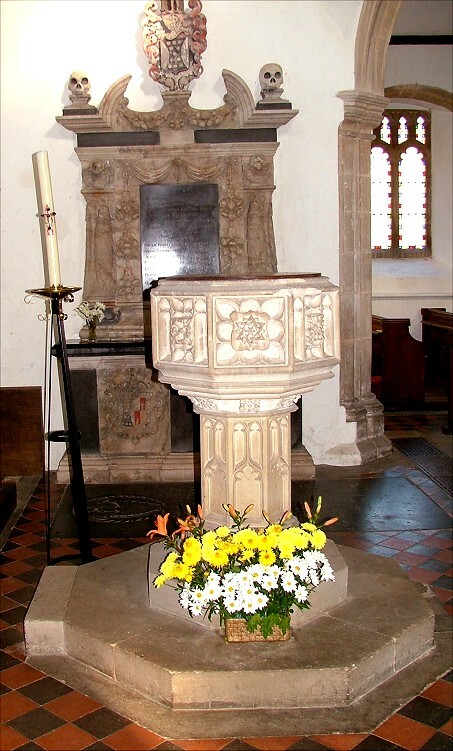 The height of the pedestal was because it contained his coffin, standing upright. 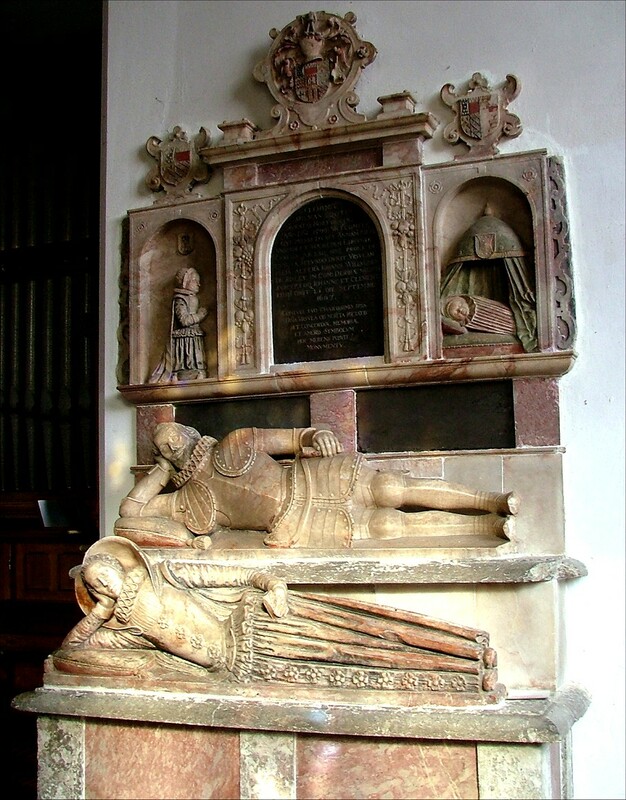 Pevsner observes that the pompous Spelman insisted on this before his death, so that he should not be trodden on. Not unreasonably, the energetic and pious Victorians were having no truck with this, and they chopped the pedestal down, chucked the coffin out, and moved Spelman to one side. How they resisted relegating him to outside the church altogether is not recorded.